End of the semester for my first class, Introduction to Graphic Design, 2008. I believe that we are at a critical point as a global society. Never before has the need for communication and the ability to fulfill that need been so great. The introduction of the Internet has brought a cross collaboration of traditional mass communication tools. The strengths of video, radio, web, tablet, mobile and print are coming together to better convey the common experiences of humanity. There is no greater role than that of an educator to help shape this emerging opportunity. As an S.I. Newhouse School of Public Communications faculty member, I help facilitate the evolution of the Newhouse School curriculum by developing an environment that brings students the vital skills for the dynamic communications industry. My goals are to instill a passion for communication, to create a culture of content and imagination, and to pursue research and creative development that will inspire students, lead to personal growth, and bring acknowledgment and credibility to the Newhouse School. In classes, I am most known for bringing the world into the classroom through challenging projects, like the malaria research interactive tablet project in the Motion Graphics and the User Interface class. I appeal to my students in very human ways: humor, kindness, respect, and an excitement for sharing our common experience. In accordance with Syracuse University’s vision of Scholarship In Action, I continue to achieve these goals through classroom education, development of workshops and a guest lecture series. Additionally, I bring the world into the classroom and the classroom into the world through my Public Scholarship projects to create a tangible teaching arena. My fundamental goal is to produce a setting that inspires students at every turn and challenge them to be an inspiration to each other on a daily basis. During the past five years at Newhouse I’ve grown substantially as an educator and a student. I never would have guessed what it takes to be a professor, but now I know full well: a whole lot of work and the same amount of humility. Introduction to the Graphic Arts teaches the principles of digital design, composition, computerized layout, typography and imaging applied to advertising, public relations, and publication design for print and web. Oh, I love teaching this class. Working in collaborative teams, students write, design and produce short fiction and non-fiction stories using digital media and the Internet. Emphasis on how story structures change with audience and delivery system. Using the latest in motion graphics and interface design technologies, students learn to build rich user experiences. Students will create web user interfaces and multimedia productions using video, still images, audio and type. Additional work required of graduate students. vidual reporting projects with the support of funding by the Knight and Carnegie foundations for the News21 Initiative on the Future of Journalism. Visual problem-solving including conceptualization, typography, design, image editing, and production of printed communications. Applies current practices and digital equipment to implement visual theories and principles. Concurrent lab required. As part of the Military Visual Journalism Program I taught service members basic web production and design skills. The Military Photojournalism (MPJ) and Military Motion Media (MMM) programs consist of students from the Navy, Marine Corps, Army and Air Force. Designing Interactivity was one of my first adventures into teaching. I quickly discovered, doing and teaching are not as closely related as one might think. 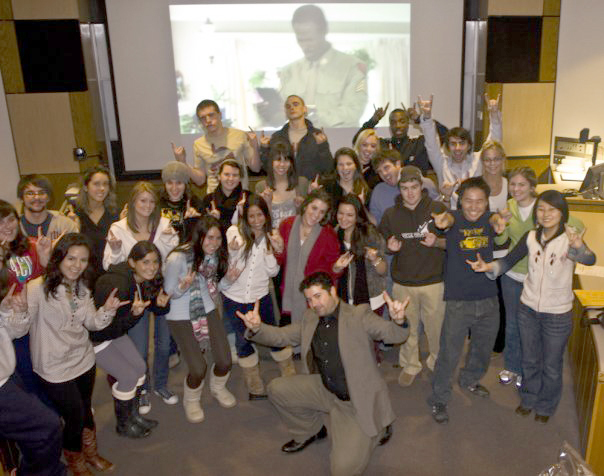 It was in this class I began to teach the fundamentals of web design and visual storytelling. 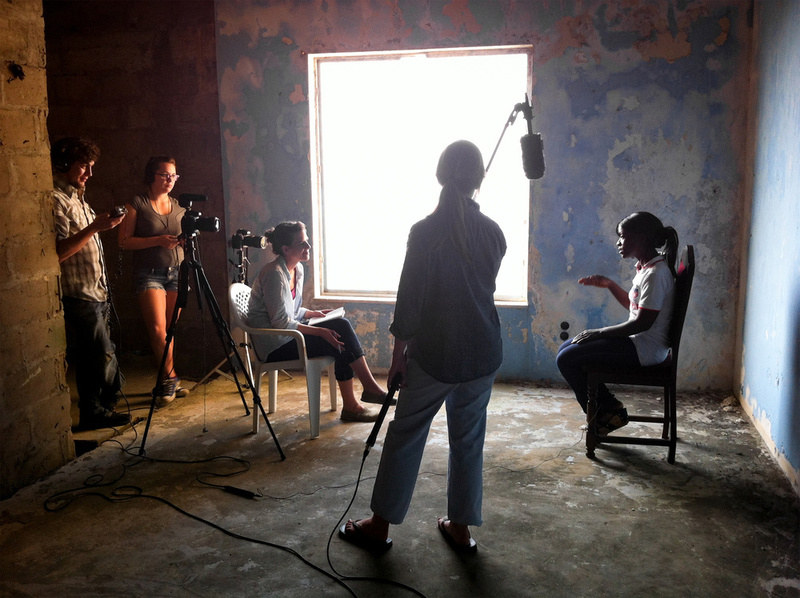 As part of an ongoing, five year relationship with the storytellers of Liberia,, myself and four Newhouse graduate students documented and worked with the leading media houses in Liberia, West Africa. Over the course of two weeks, students documented the lives of three award-winning journalists and assisted in international fundraising proposals.